On May 5, 2018, the Father and Head of the Ukrainian Greek Catholic Church, His Beatitude Svyatoslav celebrated his 48th birthday. "On this occasion, we want to warmly congratulate you on this wonderful day of grace for you personally, but also for our Church and for our people," said Bishop Bohdan (Dziurah), secretary of the Synod of Bishops of the UGCC, during Liturgy at the Patriarchal Cathedral of the Resurrection of Christ. "With birth," said the Bishop, "the word" vocation " is associated. We say that the Lord our God calls for life. And He called you through your parents. And then there are new vocations. To the priesthood call, in your case, to the episcopal ministry, and later – to the patriarchal ministry. " "These vocations are very important because they have a great influence on the life of people and on the life of the Church. Sometimes even on a global scale," said Bishop Bohdan. In Wikipedia, the Bishop said, it is written that His Beatitude Svyatoslav was born 48 years ago in the city of Stryi. "The Beatitude was born. A Little child, and yet - the Beatitude was born. On this child, God had already bestowed great gifts, great vocations, great graces. And you, step by step, really use these gifts for the glory and goodness of our people and the Church ", - says Bishop Bogdan. 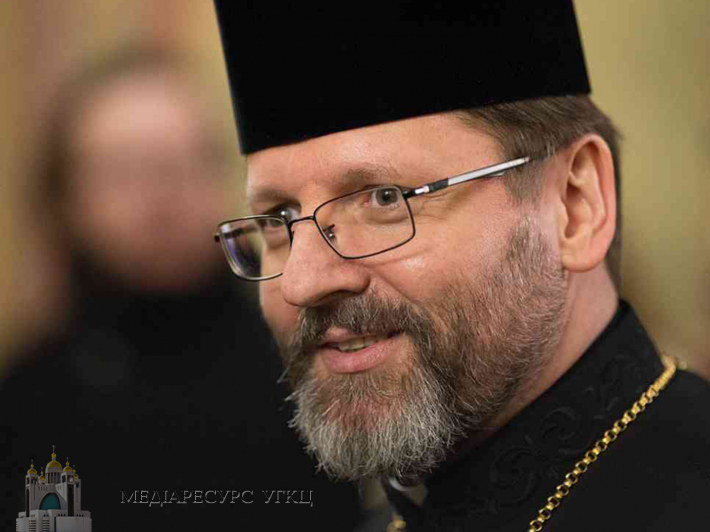 "Thank you sincerely, that you so wisely and with God’s fear affirm in our people the truth of God and the love of God", - the secretary of the Synod thanked the Head of the UGCC. But, in his opinion, there is still the most important vocation - a call to holiness. "We carry it out every day. And we sincerely wish that you could fulfil this most important vocation in your life during the time given to you by God. Let us assure you of our support, our sincerity and our love. God's blessing, good health, peace, joy, strength and grace of the Holy Spirit, Your Beatitude, for many years to come! "- wished Bishop Bogdan to His Beatitude Sviatoslav.